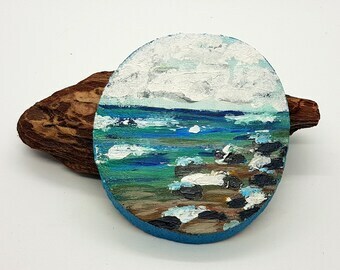 This "Westcoast Vibes" seascape acrylic painting was painted on a large slice of live edge Cedar from the West Coast of BC Canada! 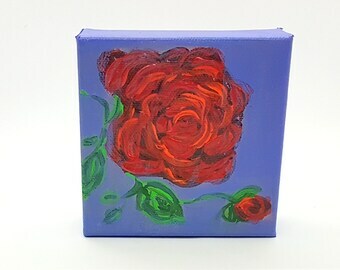 This unique painting measures 6 inches tall x 5 inches wide and 1/2 inch deep (15 x 13 x 3 cm). 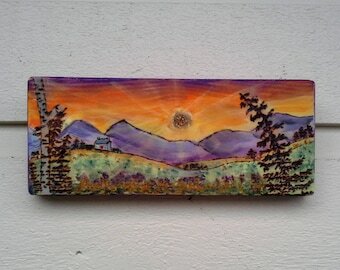 This listing is for the art piece shown in the first few photos - all other photos are of different listings available separately... thank you! 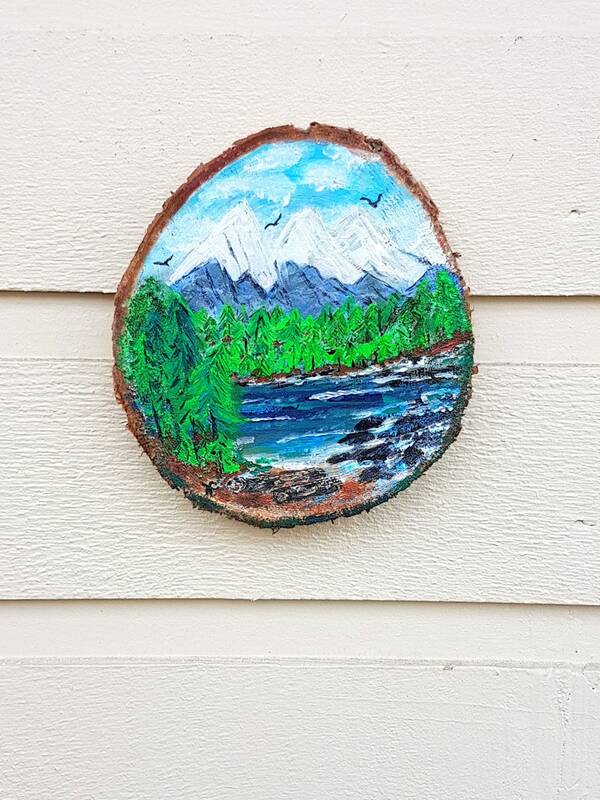 This is a One of a Kind unique piece painted by Jen Curtis. Living on the coast of BC in Canada we are very lucky to have views of not only the Ocean, but large Pine trees with Mountains as our backdrop. 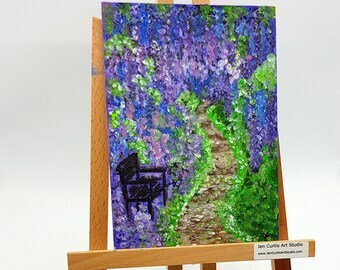 This painting was painted in heavy duty acrylic paints in rich colours of blues, purples, greens, browns, blacks and with touches of white clouds, light blue sky. Three eagles fly overhead! ~Hangs with a sawtooth hanger. Could be framed in a shadow box frame if desired. 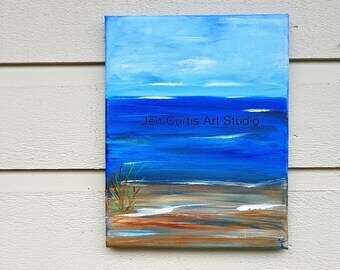 Would look fabulous on a mixed art gallery wall.